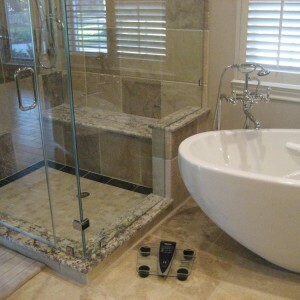 Master Bath The contemporary, free standing bathtub, installed at an angle is anchored with classic tile and granite. 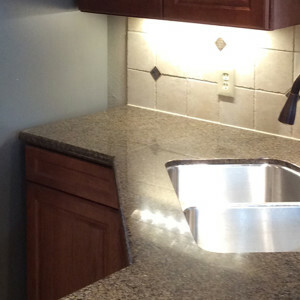 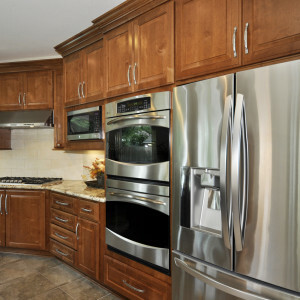 The custom paint color on the existing cabinetry bring all of the other colors and textures together. 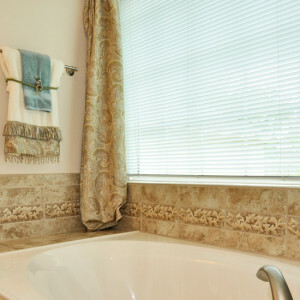 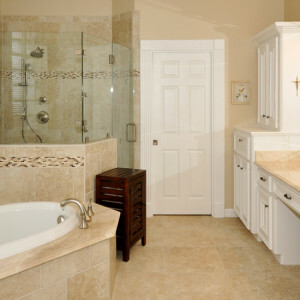 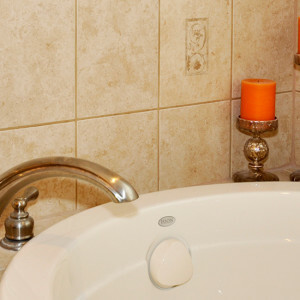 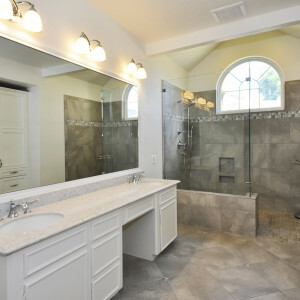 Beautiful design and great function in plumbing fixtures make this Spa complete.